Halo 5: Guardians came out one year ago this week. Since then, Microsoft has delivered nine free updates to the game, containing 15 maps, six game modes, and so many Req items. Microsoft isn't done supporting the game yet. In a blog post celebrating the game's first anniversary, 343 Industries boss Josh Holmes teased, "We're not quite finished." In the future, you can expect more maps for Warzone Firefight, new Forge canvases, an "improved spectator experience," and the ability to join live custom games on Xbox One and Windows 10 PC. 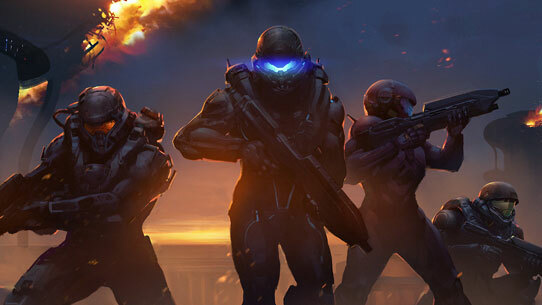 Additionally, 343 is working on improvements for matchmaking and Halo 5's servers. You can expect 343 to share concrete details on what's coming "in the not-so-distant future," Holmes teased. This is not the first time that 343 has teased more Halo 5 DLC. In September, the developer said players can expect "a few flavors of goodness" in the future. Given that Halo 5's playerbase is still reportedly very strong, it makes sense that 343 would want to keep the ball rolling with more content. September's Anvil's Legacy was Halo 5's ninth free expansion. Halo 5's other expansions included The Battle of Shadow and Light (November), Cartographer's Gift (December), Infinity's Armor (January), Hammer Storm (February), Ghosts of Meridian (April), Memories of Reach (May), Hog Wild (May), and Warzone Firefight (June).